«Following the principles of fair competition, to strengthen the position in the market of medical laboratory equipment and equipment in the field of transfusiology, to prove to be a stable, worthy and long-term partner. Contribute to the development of medicine in Kazakhstan». The strategy of development and growth, expressing the desire of the enterprise to increase sales, profit, increase profitability and other indicators of production efficiency with the possibility of business diversification. Supplies of medical and laboratory equipment, reagents, consumables and medicines. 1. 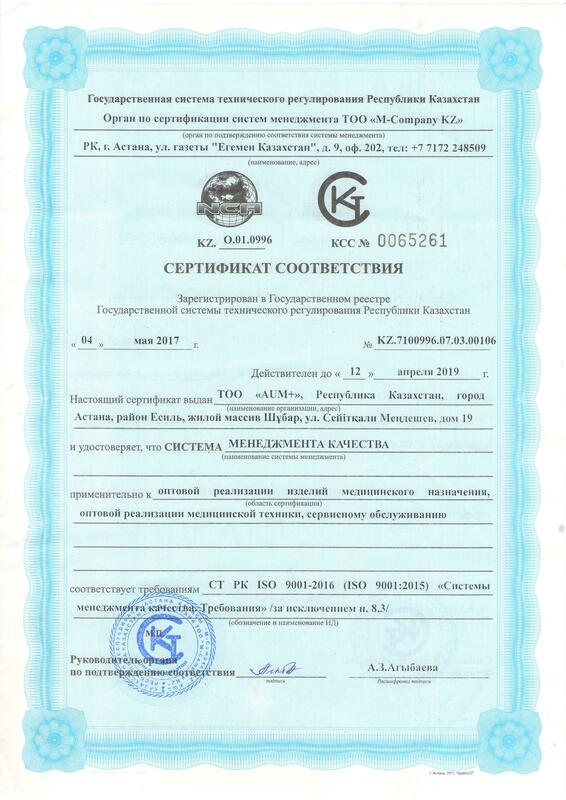 To become one of the leaders in the field of supply of medical laboratory equipment and equipment for transfusiology in Kazakhstan. 2. Customer orientation. Quality of provided services. We guarantee our clients the result of our work, which they counted on, or a result exceeding the expectations and customer satisfaction. Building long-term and mutually beneficial relationships with customers. 3. Professionalism and cohesion of staff. We are sure that professionalism is the key to success. We strive to acquire and increase our knowledge and skills in the field of our activities. We believe that we will succeed only by working in a team. We build our relationships on the principles of mutual trust and respect. 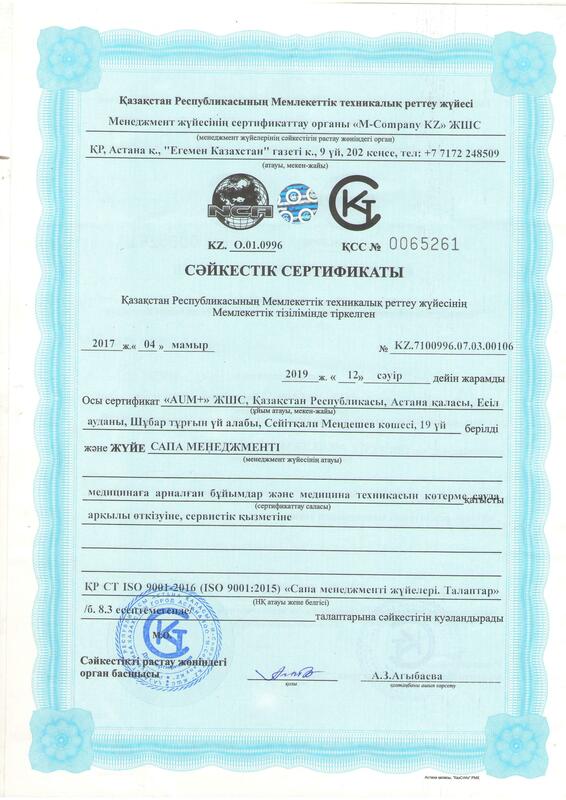 The company’s management assumes obligations to implement the Policy in the field of quality, as well as the obligation to comply with the legislative and other requirements of the Republic of Kazakhstan. The instrument for meeting these requirements is the QMS, which will be constantly improved.